Think Gothic Metal, think The 69 Eyes, Type O Negative or HIM. 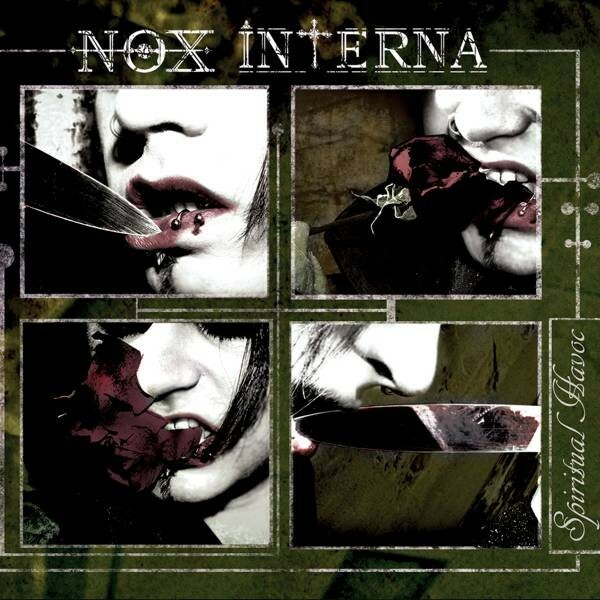 Add in Billy Idol, Rob Zombie and Rammstein and you have Nox Interna. That this lot are part German is no surprise, that the other part is Spanish may well be. From there, little in the way of shock arrives as the formula is strictly adhered to and presented most faithfully. That they do it well will only matter depending on how devoted to the Goth scene you are; for even though NI try hard to mix it at the top table, it's hard to suggest that we'll be sitting down to a banquet of 'Spiritual Havoc' anytime soon. That said, NI know how to hammer out the boom-smash-boom-smash beats and threateningly Metalised atmospheres – throwing out some gargantuan choruses in the process. And yet despite 'Kill Yourself And Be Reborn' bringing the dark foreboding sound that this style thrives on and 'Parasites' offering up those chilling keyboards which have Zombified Rob again and again, little is raised above the status of "this is how our heroes do it". Singer Ricky Nox does a decent job leading from the front and yet it's really only when he sings in his native Spanish, as he does on 'Agua De Vida' and 'El Ciclo', that he truly moves from cartoon villain to threatening horror terroriser; too often his band-mates also seemingly happy to merely go through the motions. A cover of 'Rebel Yell' by the ultimate lip-curer Idol only serves to confirm that Nox Interna are a good band with good ideas but little in the way of innovation or attitude. To view them as anything other than followers in a genre where the leaders set the pace long ago, would be a stretch and in the end 'Spiritual Havoc' becomes much more Sunday service than it is black mass.